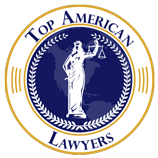 Attorney Steven A. Bagen & Associates, P.A. Since 1982, our firm has devoted our entire law practice to helping seriously injured Floridians, specializing exclusively in car, motorcycle, and semi truck accidents anywhere in the State of Florida. Mr. Bagen started practicing law in Florida in 1982 after moving to Florida from upstate New York. He attended Western New England College School of Law and the University of Florida College of Law in Gainesville.. Since 1982 Mr. Bagen has been in private practice focusing exclusively on representing personal injury accident victims. Over the past 30 years, he has represented thousands of accident victims in their claims against insurance companies and has obtained tens of millions of dollars for clients injured in all types of serious accidents. As founder and administrator of Bagen & Associates, Mr. Bagen coordinates and directs the efforts of all of the attorneys and staff on behalf of the firm’s numerous injury clients. Over the years, he developed the firm’s motto, “Helping Florida’s Injured,” and is pleased to have had the opportunity to help injury victims from all walks of life, including laborers, teachers, police officers, doctors, and others in their claims against insurance companies and large corporations. Mr. Bagen and his wife raised two wonderful children in North Central Florida. His son, Kyle, is an attorney with the firm. His daughter, Tara, graduated medical school and obtained her M.D. degree. She currently practices as a general physician. Mr. Bagen is proud to have obtained tens of millions of dollars for accident victims and to have served thousands of satisfied Florida personal injury clients from Pensacola to Key West for the past 30 years.